The mantis at top is trying to steal the cicada from the mantis at bottom. 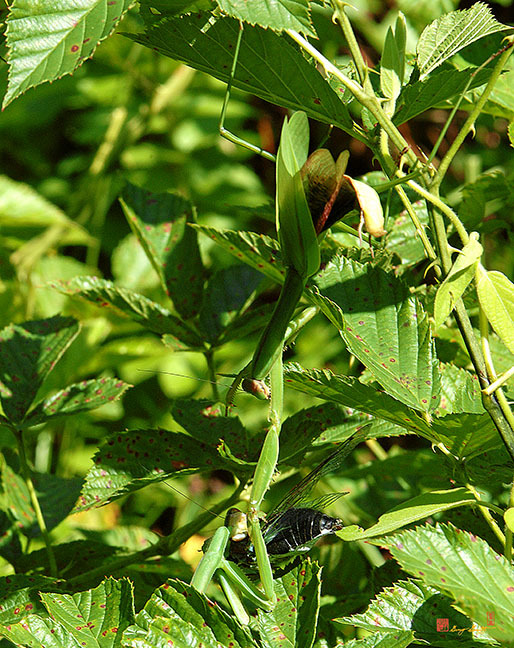 Another vigorous threat display from the top mantis while the bottom mantis continues eating the cicada. Shortly after this picture was taken, the top mantis released her hold on the cicada and fled the scene.